2015 is the year FingerTec takes on a new dynamic by focusing not only on biometrics technology but making the transition to cloud solutions for workforce management and security. Check out the product updates and releases as well as the strategies taken in making FingerTec a better brand. Customers feedback is gold and through years of customer support, one thing customers are very concerned about is data lost and how to avoid it from happening. We present the FingerTec Cloud Center for FingerTec’s global clients to store their data securely in the cloud at a reasonable price. FCC makes data lost a history. In FCC, the system keeps terminal information, transactions data and user data online as backup on cloud and data is secure and accessible at anytime, from anywhere. The most important part of a car is its engine, and for FingerTec biometrics products, you have to look at the coreboard. This year we introduced the FMM100, the latest that comes with an 800MHz microprocessor, 128MB RAM and 256MB flash memory. The new specifications is loaded with new firmware with enhanced features, greater data compatibility, and improved synchronization capabilities. Machines with this board will have upgraded graphical user interface and attractive designed icons which afford greater personalization and customization of the display style for the user interface, wallpaper, voice, bell schedules, punch state options and shortcut key mapping area. Who wouldn’t want that? 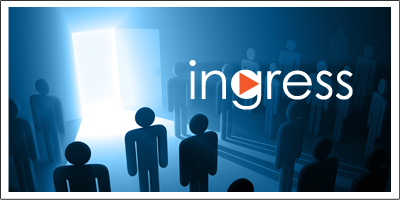 In May 2015, FingerTec launched its very own Visitor Management System, named IngressVMS. This application is tailored to manage visitors of a premise. Fully integrated with Ingress Door Access System for a secured visitor management system, an organization can filter its visitors effectively, making sure that no security risks are allowed into a premise. IngressVMS is a fully automated web-based system suitable for modern infrastructure. Ingress is FingerTec’s powerful door access software dedicated for FingerTec’s door access terminals. In 2015, extensive research and developments have been carried out to better Ingress in many aspects including features, functions and user experience. Ingress mobile app also has been reintroduced to contain various functions suitable for door access management. Experience amazing Ingress, request for a trial version here.. Cloud is the future and what’s a better option than to be ready with the solution now. TimeTec TA, our very own cloud solution for time attendance has been getting interests from the markets that require attendance data to be accessible at anytime. Equipped with awesome time attendance features, compatible with many verification methods plus the crucial scheduling and rosters management, TimeTec TA is not only affordable, it’s online, it’s scalable, accessible, secured and reliable. And the good news is, we are giving 10 user licenses worth USD20 per month per account for LIFE! Sign up for an account now and get your licenses free from us! Benefits of having these standards include enabling development of integrated, scalable and robust solutions, and ensuring the availability of multiple sources for comparable products and of competitively priced products in the marketplace. For those who have these standard requirements, contact us at info@fingertec.com to order OFIS Y. Because it's big, it carries weight, and it's lucrative! TimeTec Cloud contains more than just time attendance at www.timetecta.com. In the pipeline, we are at the last stage of TimeTec Patrol, guard patrolling cloud solution, and we will offer TimeTec Leave, TimeTec Hire, TimeTec VMS, iNeighbour and EpiCamera to complete the cloud workforce management under one roof. Get with the program and get the rainfall when the market is ready to take on cloud solutions! In the meantime, signup to the cloud solution of your choice at www.timeteccloud.com and you'll be the first to know when they are ready! 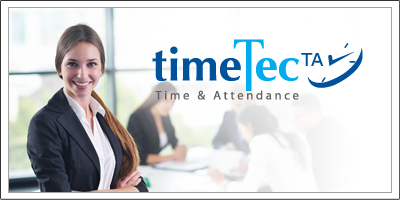 TimeTec TA is the go-to HR attendance solution that all organizations need. Amazing cloud software to manage employee's information, attendance, scheduling and roster assignment from any devices, from anywhere in the world derived from one central and secured location. As today's workforce has becoming more dynamic, it's time for businesses to automate the HR process in attendance to improve accuracy, eradicate redundancy and achieve data accuracy of related HR activities. The Internet of things reduces the reliance of personal computers in the workplace and TimeTec TA is designed with staff's mobility in mind. TimeTec Mobile app taps on GPS technology to monitor employee's mobility. Designed with security foundation in mind, Ingress has grown to be the trusted security software for FingerTec’s access control products to date. Ingress monitors security of an organization’s premises and it centralizes all installed FingerTec devices from various entry points in one key location. Throughout last year, Ingress went through various upgrades that focused on enhancing user experience and its security functions. Ingress has features that allow event monitoring in real-time where alerts can be triggered instantly and the right security action would soon follow. With the launching of Ingress Mobile for Android and Apple devices, all monitoring can be done remotely with the ability to receive alert notifications in case of emergencies and alarm triggers making the software more accessible. FingerTec TA500, portable biometrics for today's business! 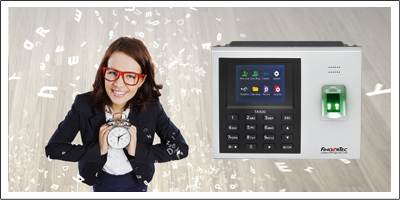 TA500 is a time attendance hardware that can store up to 2000 fingerprint templates, suitable for small to medium enterprises. Time attendance has gone from the old and moot methods of card punching and time stamping machines to one with biometrics technology and devices that are affordable, scalable, and mobile. The TA500 comes with internal battery and follows the plug and play function that makes it portable. Organizations can save a lot in cost and time with TA500 by eliminating paperwork and other devices that come with manual systems. 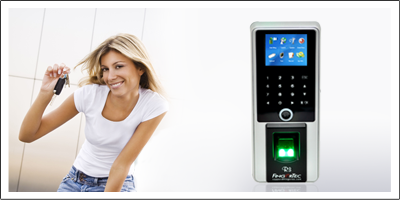 Be smart, be secure, be biometrics with FingerTec R3! Install one at your premise today! The latest in biometrics devices for access control and time attendance that comes with a sleek design and a colourful interface, R3 is a proud successor of the best-selling R2 device. It can contain 3000 fingerprint templates, 10,000 cards and hold 100,000 transaction logs at any given time. The R3 is bundled with Ingress and is also one of the devices that are supported by the FingerTec Cloud Center (FCC) that centralizes your fingerprint and attendance data from multiple locations in one cloud storage. 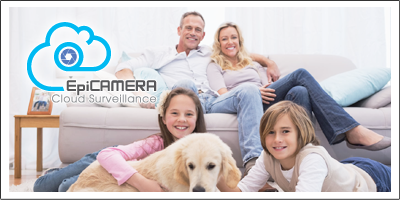 Amplified your surveillance online with EpiCamera! EpiCamera is a cloud-based video surveillance system that can be accessed via web login and allows various types of monitoring functions. This gives system administrators the ability to monitor the premises from anywhere, at anytime and choose the camera view mode that they require. EpiCamera can be used for business and personal purposes and can be built on as many cameras desired, as the solution is scalable to cater to the right size of service. No matter the size and industry, EpiCamera can be used indiscriminately to monitor schools, airports, factories, and even beloved pets at home.